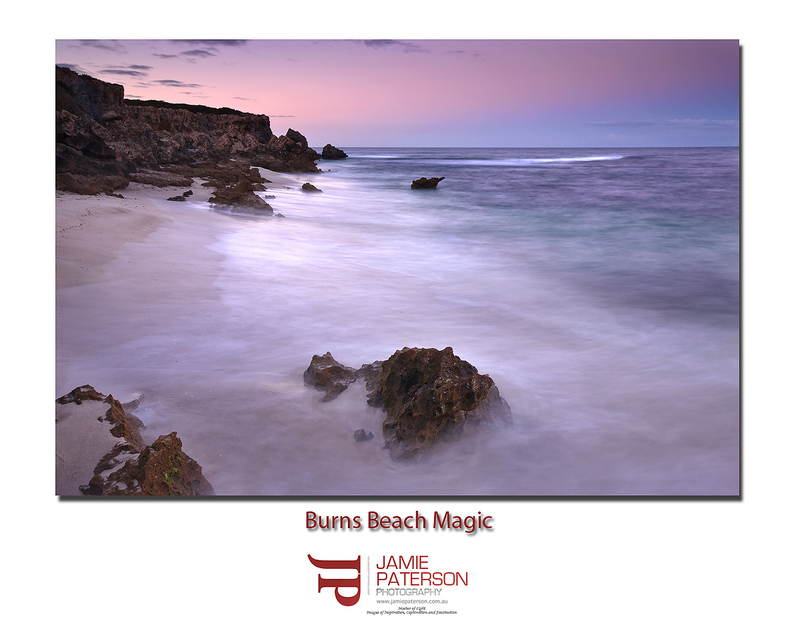 This entry was posted in australian seascape photography and tagged australia, australian landscape photography, australian seascape photography, beautiful sunrises and sunsets, burns beach, long exposure, ocean, seascape, sunrise, water, western australia. Nice shot Jamie,hope everything goes well with the new addition to the family! Thanks for the comment and thanks for your best wishes. Great shot, I am still not able to get a shot like that. I have fiddled around with my camera settings, but no luck. Goodluck for the new addition, can’t wait to see the pic’s of him. Thank you for that. What settings are you using? Are you using filters at all? I’m not sure what settings to use. I don’t have any filters yet, little strap for cash at the moment. I am still learning about the settings on the camera, I have a long way to go. I have 2 camera’s Nikon D40 and Nikon D60, lenses are 18-55mm and 55-200mm. Keep plugging away. You’ll get there. If you don’t have any filters you could try taking multiple exposures and blending them together. Hope all goes well with the new arrival Jamie. Thank you very much for that mate. I really appreciate it. The little one doesn’t seem to be in any rush to get out. I definitely miss those pastelly pinks over the ocean at sunrise, I`ve always walked north of the carpark as there are some nice little outcrops, but it may have all changed with the housing subdivision that was well underway last time I was up that way. Hope all goes well for you and your family. Nice colours and water movement Jamie..well done! Thanks for that. Much appreciated. Nothing like the stuff you guys will be posting over the next couple of weeks!